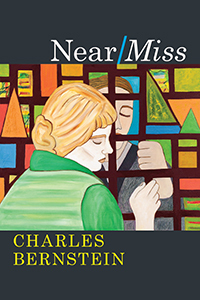 New Haven, Conn.— Charles Bernstein has been named the winner of Yale’s 2019 Bollingen Prize for American Poetry. The Bollingen Prize, established by Paul Mellon in 1949, is awarded biennially by the Yale University Library through the Beinecke Rare Book and Manuscript Library to an American poet for the best book published during the previous two years or for lifetime achievement in poetry. The prize includes a cash award of $165,000. Bernstein is the 51st poet to be honored with the award and joins a list of past winners that includes W.H. Auden, Marianne Moore, Wallace Stevens, Louise Bogan, Léonie Adams, Robert Frost, and Robert Penn Warren, as well as contemporary poets Susan Howe, Charles Wright, Louise Glück, Nathaniel Mackey, and Jean Valentine. 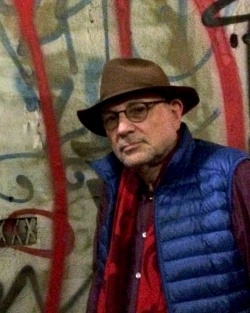 Bernstein is the author of numerous books of poetry, including Near/Miss, Recalculating, and All the Whiskey in Heaven: Selected Poems, among many others. His collections of essays include Pitch of Poetry, Attack of the Difficult Poems: Essays and Inventions, and A Poetics. Bernstein is also known for his translations, collaborations with artists, and libretti. With Al Filreis, he is the co-founder of PennSound, an extensive archive of recorded poetry. Bernstein was elected a Fellow of the American Academy of Arts & Sciences in 2006. Other awards and honors include Janus Pannonius Grand Prize for Poetry, the Münster Prize for International Poetry; a John Simon Guggenheim Memorial Fellowship; and a National Endowment for the Arts Creative Writing Fellowship. Bernstein is Donald T. Regan Professor of English and Comparative Literature at the University of Pennsylvania. The Bollingen Prize for American Poetry is administrated by the Yale Collection of American Literature (YCAL) at the Beinecke Library. Throughout its history, the Bollingen Prize for Poetry has recognized and honored the best in American poetry. Early Bollingen Prize winners —Stevens, Moore, E.E. Cummings, Auden — are today widely considered to be writers whose work defined a new American literature of the 20th century. More recent winners — John Ashbery, Robert Creeley, Glück, Charles Wright, Gary Snyder, Howe, and Mackey — have been praised for bringing stylistic diversity in American writing. Bollingen funds also provide for various poetry-related activities at the Beinecke Library, including readings and public seminars; curatorial projects; and graduate and undergraduate student publications and research. Ange Mlinko is the author of collections of poetry including Matinées (1999), Starred Wire (2005), Shoulder Season (2010), Marvelous Things Overheard (2013), and Distant Mandate: Poems (2017). Marvelous Things Overheard was selected by The New Yorker and The Boston Globe as one of the best books of 2013. She received Poetry magazine’s Frederick Bock prize for her poem “Cantata for Lynette Roberts.” Professor Mlinko’s poems and criticism have appeared in The New Yorker, Poetry, The Paris Review, The Nation, London Review of Books, The New York Review of Books and other literary magazines. A winner of the Poetry Foundation’s Randall Jarrell Award for Criticism in 2009, Mlinko was a Guggenheim Fellow for 2014–15. She is currently the Poetry Editor of Subtropics. Mlinko teaches poetry workshops and seminars on poetics at the University of Florida. Claudia Rankine is the Frederick Iseman Professor of Poetry at Yale University in the departments of African American Studies and English. She is author of five collections of poetry including Citizen: An American Lyric and Don’t Let Me Be Lonely; two plays including The White Card; numerous video collaborations, and is the co-editor of several anthologies including The Racial Imaginary: Writers on Race in the Life of the Mind. Rankine won a distinguished Guggenheim Fellowship in 2017; she was awarded the prestigious MacArthur Fellowship “genius” award in 2016. For her book Citizen: An American Lyric, Rankine won both the PEN Open Book Award and the PEN Literary Award, the NAACP Award, and the National Book Critics Circle Award for Poetry (Citizen was the first book ever to be named a finalist in both the poetry and criticism categories); and was a finalist for the National Book Award. Citizen also holds the distinction of being the only poetry book to be a New York Times bestseller in the nonfiction category. Among her numerous awards and honors, Rankine is the recipient of the Poets & Writers’ Jackson Poetry Prize and fellowships from the Lannan Foundation and the National Endowment of the Arts. In 2016, she co-founded The Racial Imaginary Institute (TRII). Evie Shockley, Professor of English at Rutgers University—New Brunswick, is the author of Renegade Poetics: Black Aesthetics and Formal Innovation in African American Poetry (Iowa, 2011) and several collections of poetry. The most recent, semiautomatic (Wesleyan, 2017), was a finalist for the Pulitzer Prize and the LA Times Book Prize, and winner of the 2018 Hurston/Wright Legacy Award, which she previously won in 2012 for the new black (Wesleyan, 2011). Her poems and essays have appeared in journals and anthologies internationally. Shockley’s work has been supported and recognized with the 2015 Stephen Henderson Award, the 2012 Holmes National Poetry Prize, and fellowships from Cave Canem, MacDowell, the Millay Colony for the Arts, the Radcliffe Institute for Advanced Study, the Schomburg Center for Research in Black Culture, and the American Council of Learned Societies.